When young Billy Batson speaks the magic word "Shazam", he is transformed into the superpowered hero Captain Marvel, aka Shazam! 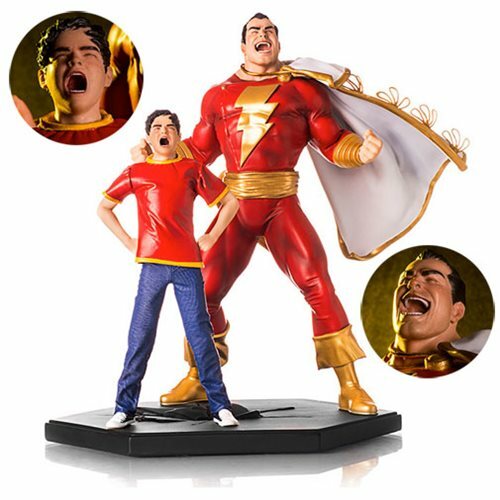 This limited edition hand painted statue is based on the concept art of Ivan Reis, and depicts both Billy and his alter ego. Made in polystone the DC Comics Shazam! 1:10 Scale Statue stands approximately 7 1/2-inches tall. Ages 15 and up.